Keeping a Hot Tub clean is often an afterthought, but the Electric Vacuum makes tidying your relaxation zone much simpler. The lightweight 1.5m pool hoover weighs only 1.2kg and is complete with a telescopic handle and battery power pack to make manoeuvring so much easier. Stay on top of your Hot Tub’s Chlorine levels with these easy-to-use test strips. Just one dip will reveal results regarding your pool’s chlorine, pH, Alkalinity and Cyanuric Acid (in pools subjected to UV rays). Results are immediate and help you keep your pool water fresh. The bath-time classic returns in a huge array of themes from hula dancer to paddler and bathing girl (all featured). Add some colour and character to your spa with a range of over ten duck’s to choose from. These 30cm floats come in a range of animal shapes (frog – featured), with over eight foam creatures, each sporting a different colour. Although Grip-O was designed for use on boats, its practical application make it a perfect addition to Hot Tub users. The simple shape, complete with eight suction feet, means it will stick effortlessly to fibreglass, glass or metal panels and it’s perfectly designed to hold cans and drinks bottles – up to 500ml - in place. The Spa Dome is an essential addition for any Hot Tub as it allows you to enjoy your Spa throughout the year and against all elements. The detachable mesh and fabric tent sits above your head and protects you from the inevitable English weather but also has detachable doors for when the summer sun comes out. Turn your Spa into your homes entertainment hub with this water-resistant speaker system. Connect to the built-in Bluetooth system and play all your favourite tunes or catch up on the phone through the 10 watt speakers. To make your pool experience even more relaxing add the waterproof pillow to your Spa to provide essential head and neck support and enjoy the water in total comfort. The pillows mould to the sides of your Spa and can be positioned wherever feels best. 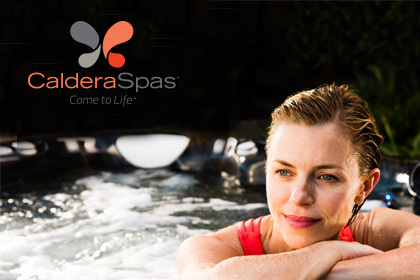 The Liquid Pearls fragrances from inSPAration are the leading aromatherapy fragrance for Spas and Hot Tubs. The unique aromatherapy blends are formulated in large variety of fragrances such as Apple Pear (featured). Use fragrance blends to create the ultimate spa experience while at the same time leaving your skin soft and moisturised. Spazazz products are specially formulated for Hot Tub use. These all natural blends of sensual aromas and moisturizing botanicals are spa-safe and oil-free, so they will not affect a hot tubs pH balance or leave any oily residue behind.